Great Danes were first recognized by ‘American Kennel Club’ back in 1887 and have been since been described as gentle giants who are known for their friendliness, patience, and great service dogs. 6-year-old Max wanted to stay in bed all day and threw a tantrum when told to get out of bed by his Mom. 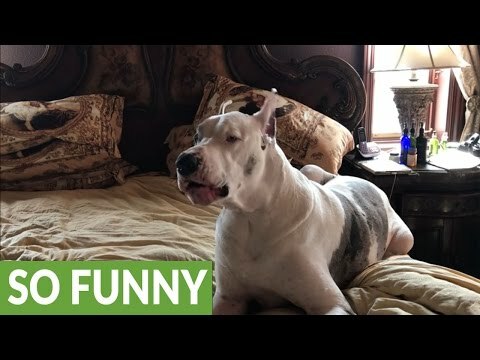 His reaction is hilarious, he expresses his feelings clearly to his mom and simply does not want to get out of bed.